I always say that Boulder, CO is a great place to be. Not only is it beautiful and full of quaint little places, but the most amazing products and companies come out of there. Today I’m introducing Shannon Sunderland & Sahra Cahoon who form the dynamic duo of Hot Mama Designs. 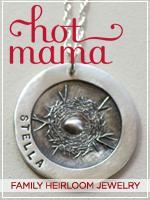 Hot Mama Designs rejoices in celebrating motherhood, family and the one-of-a-kind feeling of the handmade object. Their inspiring designs are created to tell stories and celebrate life. I receive a piece of jewelry for helping spread the word. All opinions are my own. Gift Baskets Plus Coupon Code! I know I would be pretty happy if I received one of their baskets in the mail! ~Spoil a person with all of their favorites from Coffee, Chocolate, Wine, Cookie, Cheese & Meat, and more! ~ Someone you don’t know all that well because know doesn’t like yummy food? ~ Just to keep on hand at home. With company stopping by you can bring out the snacks! My house of boys would love this Treasure Trove! Cutting Board Gourmet ~ isn’t that fun with a huge variety of items! Right now Gift Baskets Plus is offering 15% off any order! What basket do you want? 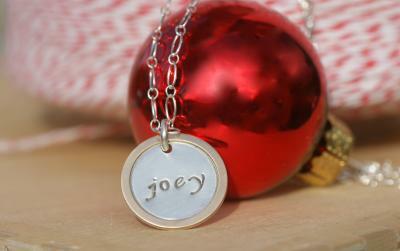 I will receive a promotional item from Gift Baskets Plus for writing this post.